Bawlf School serves a population of 343 students in E.C.S. through grade twelve. High school-aged students from Round Hill are bussed to Bawlf daily along with the all the students from the Rosalind area. The school takes pride in the many aspects of their program. They have a very strong academic emphasis and a corresponding success rate to support it. Programming focuses primarily on the core courses with opportunities to participate in a greater number of non-core subjects at the junior and senior high school level. Students begin to develop their instrumental music skills in grade five with our Beginning Band program and students in grades four through nine acquire and maintain proficiency in a second language through daily French instruction. French 20 and 30 are offered at the high school level. Junior high students participate in a wide variety of course offerings. In addition to core subject instruction, the junior high timetable contains Phys Ed, Health, leadership study and the choice between Band or Theatre Studies. Classes also travel to Camrose Composite High School one morning per week for Home Economics, Industrial Arts, Cosmetology and Media Studies instruction. Bawlf School offers individualized learning support to all secondary students during the last 30 minute block of the school day. Known as LAT (Learning Assistance Time), the program affords students the opportunity to receive teacher assistance, reflect on their day’s learning and complete assignment work in a structured environment. Although a small high school, Bawlf continues to offer a variety of programming choices. Single-course, direct teacher instruction is provided for all Diploma Exam subjects. Band and Art programs are popular choices with students for non-core options. Through team-teaching partnerships with ADLC (Alberta Distance Learning Centre) students are also able to explore a variety of courses specific to their individual interests via on-line instruction. Math 31 is available using video conference technology for grade twelve students. 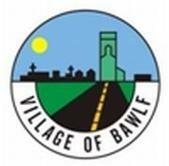 Bawlf High School has a strong off-campus program which is well respected throughout the surrounding communities. The timetable design affords students the option of participating in core subject instruction during the morning and then travelling to Work Experience and RAP (Registered Apprenticeship Program) placements during the afternoon. Many students also participate in the Green Certificate program allowing them to earn course credit during out-of-school hours in agriculture related studies such as Cow-Calf Beef Production, Equine Technician and Field Crop Production. To go to the school's website, click here.